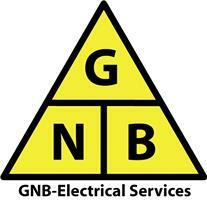 With over 17 years in the industry, GNB-Electrical Services are a friendly professional and highly skilled electrical installation company, totally committed to providing our customers both old and new with the highest possible quality and workmanship. To enforce this commitment we are NAPIT approved contractors we are assessed on a regular basis to ensure that we are competent and capable of meeting the relevant technical and safety standards, codes and practices. All our staff are fully qualified and hold a current Enhanced DBS Certificates. We cover all Domestic, Commerical and Industrial electrical installations and maintenance. Fuse board replacement and upgrades. Extra or replacement light fittings and sockets.